"So what are you making for dinner? 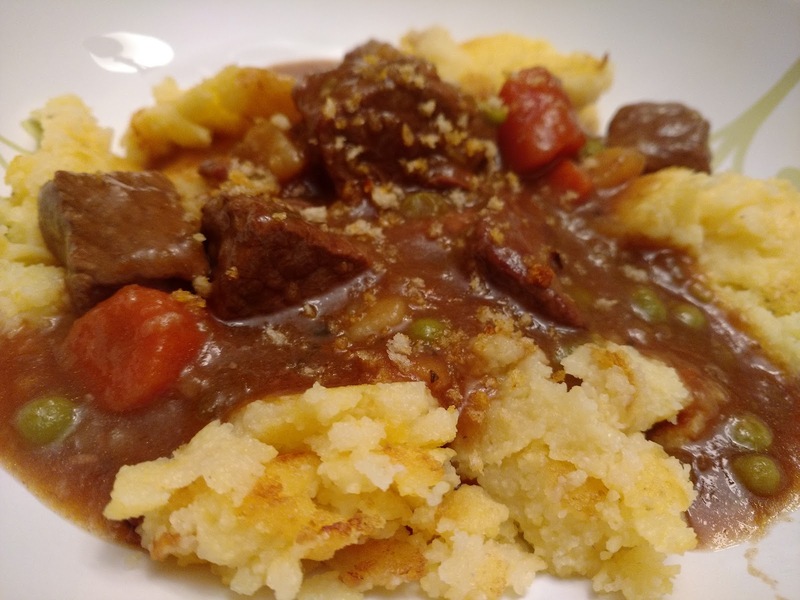 ": Leftover Beef Stew! I had some Polenta in the freezer. I took it out yesterday and when Chris got home tonight he fried it up in a saute pan. We put the leftover Beef Stew over the polenta. Comfort food! 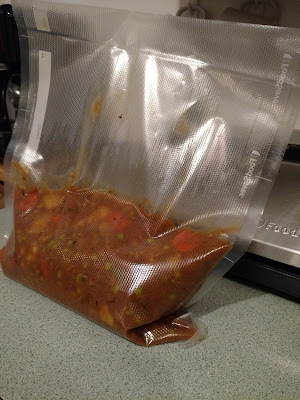 A friend of ours, Maureen, gave us her FoodSaver. Guess the first thing I used it for. Yeah another meal from the batch of Slow Cooker Beef Stew. I was reading online that you should first freeze what you are going to wrap using the FoodSaver. Well I did not freeze the stew and the vacuum and the sealer worked perfectly! I love this new gadget.